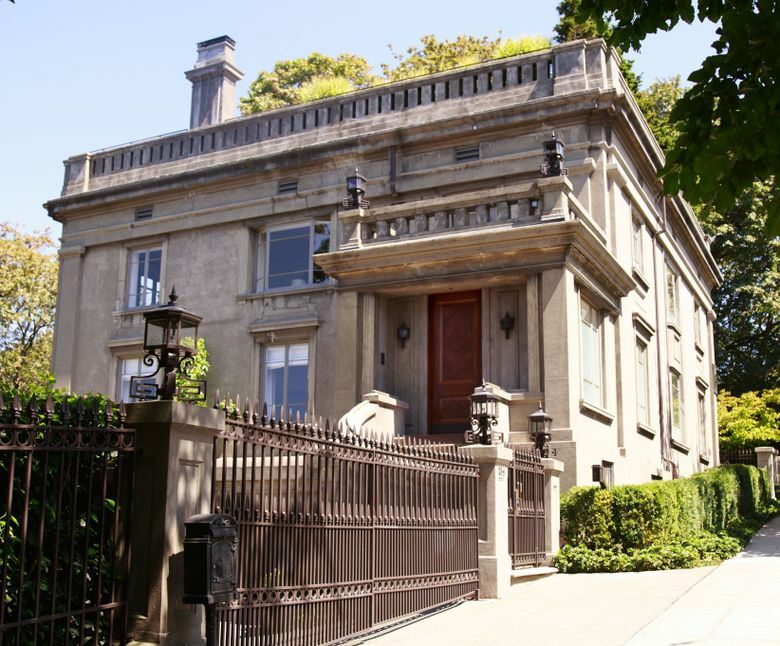 The owners of a Capitol Hill mansion see their property’s assessed value tripled, but they will still get an 80 percent discount off their tax bill thanks to an obscure state law about fixing up historic properties. The days of living tax free are over for the wealthy owners of Seattle’s priciest home for sale — but they’re still getting a great deal on their property taxes. The Sam Hill Mansion on Capitol Hill rocked the local real-estate world when it went on the market in late July, with its stunning views, sleek modern interior and chart-topping $15 million price tag. But its $0 property-tax bill was even more shocking. The CEO who owns the home managed to wipe out the property-tax bill by using an obscure law that allows owners of historic structures to fix up their properties and deduct that investment from their tax bill for up to a decade. The mansion wound up as one of only two homes in King County with zero due in property taxes. The other factor in the $0 tax bill was the King County Assessor’s Office, which determines property-tax bills and hadn’t visited the home in years. Its last assessment valued the massive mansion at $2.6 million, even though the owners spent $9.7 million to buy and fix up the property. After a round of stories locally about the mansion two months ago, King County Assessor John Wilson launched an investigation. He said Thursday he has reassessed the property at triple its previous value and is charging back taxes, which his office does infrequently. The assessor is sending a bill of $50,613 for taxes for this year and the last three years to the owners, former Vulcan executive David Capobianco and his wife, Rosangela. Next year’s bill will be $20,000 or more. But even the new tax bill is just a fraction of what the Capobiancos would otherwise pay. Without the massive tax credit, which is still in place, the owners would have faced a total bill of about $340,000 for the five-year span through 2017. In other words, they’re still getting an 80 percent discount off their total property-tax bill over that five-year span. On top of all that, the home will not be retroactively charged for the zero tax bills enjoyed in 2011 and 2012, as the assessor is only able to charge back taxes for three years. Without the tax credit, they would have paid $38,000 for those two years, based on the old, lower assessed valued. Meanwhile, soaring home values around the county mean rising property taxes for the average homeowner. Wilson said his office failed to keep up with the rising value of the Sam Hill home and only realized the owners were being undercharged when he saw the listing pop up online and in news stories, complete with snazzy photos of the redone interior. Officials conducted their last physical inspection of the home right before the mansion’s remodel and aren’t scheduled to visit the house until next year. There are few comparable properties to measure the mansion against because of its immense size and rich historical backstory. “We’re playing catch-up here,” Wilson said. The Capobiancos spent a total $6.4 million over a pair of renovations on the mansion earlier this decade, mostly to make the interior more modern and comfortable. Because of a state law designed to encourage property owners to fix up relics, the money they spent on the work was subtracted from the overall home value used to calculate property taxes. Before, that tax break was large enough to wipe out the entire property-tax bill because the assessed value of the mansion was so low. Now, Wilson has boosted the value of the property to $7.8 million after reviewing the renovation permits, viewing the interior photos of the listing (officials weren’t allowed inside the home) and examining the exterior. So even after subtracting the $6.4 million renovation cost, that leaves a “taxable” home value of $1.4 million. If the home sells for its $15 million list price, the owners would get their multimillion-dollar renovation costs back, and then some. Through a spokesman, the Capobiancos declined to comment. They are moving to Houston, where David is now the CEO of Five Point Capital Partners, a firm that invests in and operates energy companies. But much of the interior of the home does not appear to resemble the original 106-year-old mansion commissioned by Hill, a prominent businessman who built the Peace Arch along the Washington-Canada border and opened the mansion in hopes of entertaining foreign dignitaries. The five-bedroom house now features a rooftop terrace with a spa, a gym inside and chic ultramodern features. Wilson said the couple essentially gutted the entire inside and kept only the historic facade. But the ship has sailed on the tax break. The city’s Landmarks Preservation Board already approved the tax cut earlier this decade, citing permits the couple submitted showing the value of the work, and the assessor can’t overturn the decision. The 11,000-square-foot home’s list price hasn’t changed. It remains the priciest in Seattle, and it’s been on the market for 2½ months. That’s not unusual for luxury homes, which can take a long time to sell because the pool of potential buyers is so small. The average Seattle home, by contrast, now sells in less than two weeks. Wilson said his office is going to review other properties that received the tax cut based on historic renovations, but only the Sam Hill Mansion has thus far received an updated tax bill. Besides the two homes and seven commercial structures that pay no property taxes under the historic properties program, several dozen others around King County use it to reduce their tax bill.